The San Jose/Evergreen Community College District bought and will populate the seven story, 41,500 sqft former American Bank and Trust building at 40 S. Market. A new Bus Rapid Transit (BRT) system is going to run down Santa Clara Street and will ultimately connect to Eastridge Mall, Palo Alto, and DeAnza College. They will provide a similar level of service to light rail and have better seating, stations, and travel times than normal buses. Umpqua Bank has started building out its ground-floor space at 225 W Santa Clara (next to Amici's), which will include a computer cafe and free WiFi. Vyne Bistro is now open and has specials like mushroom risotto and caviar. Visit the new wine bar and restaurant at 110 Paseo De San Antonio. Hibiscus Stodio is open where City Salon & Spa used to be at 136 E. Santa Clara. Curb cafes are coming to five locations in San Jose this year, including Chacho's. A 10ft-tall working model replica of "Organograph" is available for viewing at the City Hall lobby. Eventually this will be a 75ft-tall interactive work of art near Diridon. Zipcar is now available Downtown and in Midtown. 17 public spaces have been re-purposed for Zipcar. Need to redefine the boundaries of downtown san jose? Need more walkable parts? San Jose should definitely be in that list, not quite why it's not. Someone should contact walkscore. They have downtown going all the way to 880. With 70k people!! Thats one HUGE neighborhood. There should be no reason Oakland and Davis are on that list but San Jose is not. 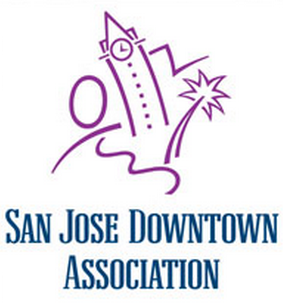 According to America Art Communities, Downtown San Jose is one of the most vibrant downtown in America, thanks to SoFa and the cultural/restaurants offering in the downtown area.